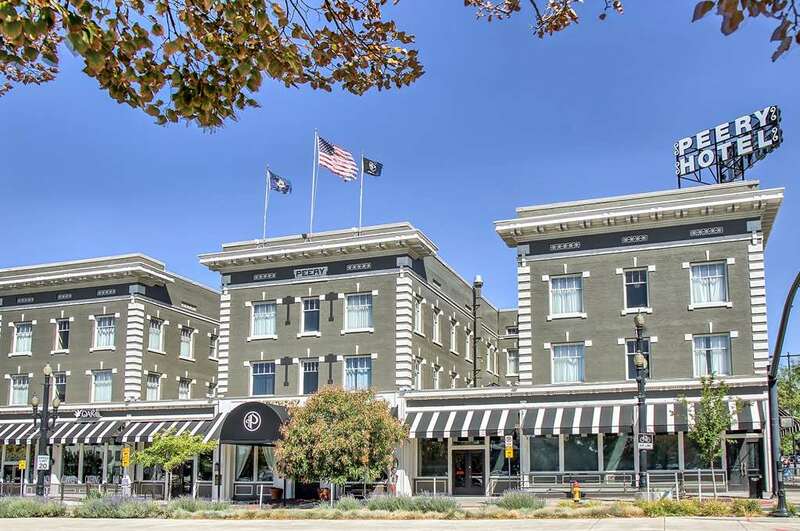 Focus on your destination at The Peery Hotel, An Ascend Hotel Collection Member in Salt Lake City, UT located near the Salt Palace Convention Center. Attractions like City Creek Shopping Center, The Gateway Mall, Temple Square, VivintSmart Home Arena, and Capitol Theare are all nearby. Enjoy amenities like free WiFi, an exercise room, business center, banquet rooms, free coffee and more. Spacious rooms include a microwave, sofa bed, 42-inch flat-screen TV, hair dryer, iron and ironing board. Earn rewards with every stay with our Choice Privileges Rewards program. No Pets Allowed.